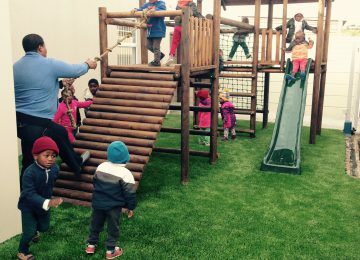 Our Life Child Preschool is situated in Philippi, Cape Town. It provides a safe environment with quality Montessori education for 24 of the most vulnerable children from the neighbouring community, along with the aim of reaching out and empowering their families. Our Life Child Centre has been fully operational since July 2015. It accommodates emergency placements for the most vulnerable babies and children (0-8 years) placed by social workers or, in exceptional cases, by the police. 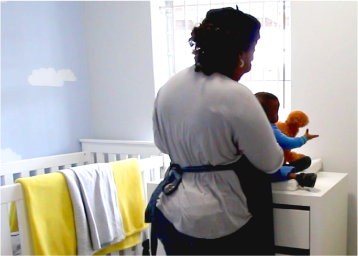 This is a temporary safe home where Life Child South Africa supports the work of the Safety Mom, ensuring that quality care and love are provided to these young children. While in our care, Life Child provides the children with holistic care. Life Child South Africa is currently operating in the informal shack community of Kosovo and the neighbouring semi-formal community of Samora Machel, in Philippi. We have partnered with the owners of twelve Early Childhood Development (ECD) Centres in Kosovo and three in Samora Machel. Through our ECD programmes and projects we are reaching over 700 children, who are the most vulnerable children in their community. Our involvement ensures food provision to all the preschool children through a partner food provider. In addition, we provide Montessori educational training and spiritual development to the preschool owners and teachers, enabling them to flourish in their impoverished environments. As part of our Early Childhood Development Strategy, we systematically rebuild structures in order to provide a safer and healthier classroom environment for the children. Our ultimate goal is the registration of these facilities by the Department of Social Development, in order for them to receive a government subsidy and become self-sustainable. 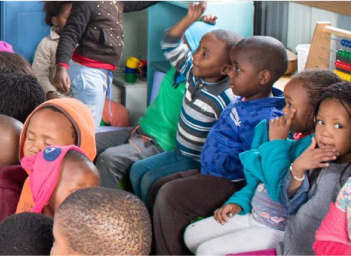 Life Child South Africa is currently operating in Cape Town, within the informal shack community of Kosovo and the neighbouring semi-formal community of Samora Machel, in Philippi. Kosovo is densely populated, over-crowded and known to be one of the poorest and most critically in need areas in the city. We have opened our Life Child Centre and Life Child Preschool to support the most vulnerable children in the community. By sponsoring a child through Life Child you are providing a safe environment for that child to learn and thrive.